Located in largest economy summit in Turkey after the G20, Halal Expo will take place in Istanbul from 22nd to 25th October 2015. 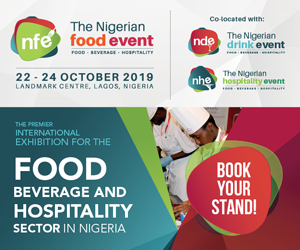 It will bring together national and international food professionals and government summit with fairs, congress, symposia, workshops and councils. Halal food market is growing 100 percent each year. This year will increase the business potential with organization of DISCOVER EVENTS from 22nd to 25th October 2015 in ICC (Istanbul Congress Center). After the G20 summit, the exhibition is planned to be the largest economy summit in Turkey. DISCOVER EVENTS Chairman of the Board Yunus Ete indicated that supervision in ‘Halal Food’ market is necessary and talks about the trusted certificate providers in the world must be accredited to the World Halal Council. DISCOVER EVENTS Chairman of the Board Yunus Ete indicates that a wide range of sectors from food to clothing to drug tourism of hosting the world halal market size has exceeded 860 billion dollars and adds that volume is expected to find 2 trillion over the next 10 years 2 billion Muslims live in the world. 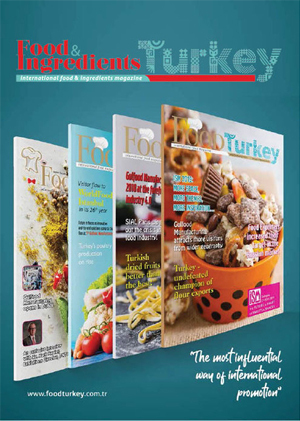 An average of 15 billion dollars, halal food market in Turkey is growing 100 percent annually. He underlines that the domestic market will find about 30 billion US dollars this year and on the export side there will be rapid growth. DISCOVER EVENTS Chairman of the Board Yunus Ete says that ‘Halal certified products composed for 30 percent of total food exports in Turkey. Food exports are growing by 10 percent every year,export of halal certified products are increasing 70 percent. The next 10-year period, is expected to find 70 per cent of exports of halal-certified food products.’ Mr. Ete indicated that the sales of Halal certificated companies are doubled and he draws attention to Halal certification rent door spacing risk. DISCOVER EVENTS Chairman of the Board Yunus Ete emphasizes that the issuers must be controlled in order to avoid rent in Halal certified products, ‘World Halal Council was established for this purpose. This council is checking all associations, organizations and institutions which issue certificates. It is necessary to given confirmation of acceptance in this council membership. He continues: ‘GİMDES is only member of World Halal Council’ in Turkey. ‘ We are ready to bring World Halal Council to Halal Expo will be held between 22nd– 25th October 2015. Halal food exports is rising rapidly in Turkey. But Indonesia, countries like Malaysia only accepts the certificate of World Halal Council accredited institutions.For this reason, the summit has got much importance. DISCOVER EVENTS Chairman of the Board Yunus Ete says thatthe events will be like Davos economy organization, and adds largest economy after the G20 summit to be held in Turkey Halal Products Fair; fairs, congresses, symposia and workshops will be held together. Halal Expo will be concurrently held with Halal Food Summit, SME Council, TUMEXPO exhibition and ALLINTECH ALL INNOVATION TECHNOLOGIES Exhibition at the Istanbul Congress Valley.